German man calls police because he was being chased by baby squirrel. A German man resorted to calling a police emergency number because he was being chased by a baby squirrel. Officers in the city of Karlsruhe were sent to help the man after he became exasperated that he could not shake off the tiny rodent. However, when a patrol was sent to the scene to investigate on Thursday morning, they did not have too much trouble diffusing the situation. 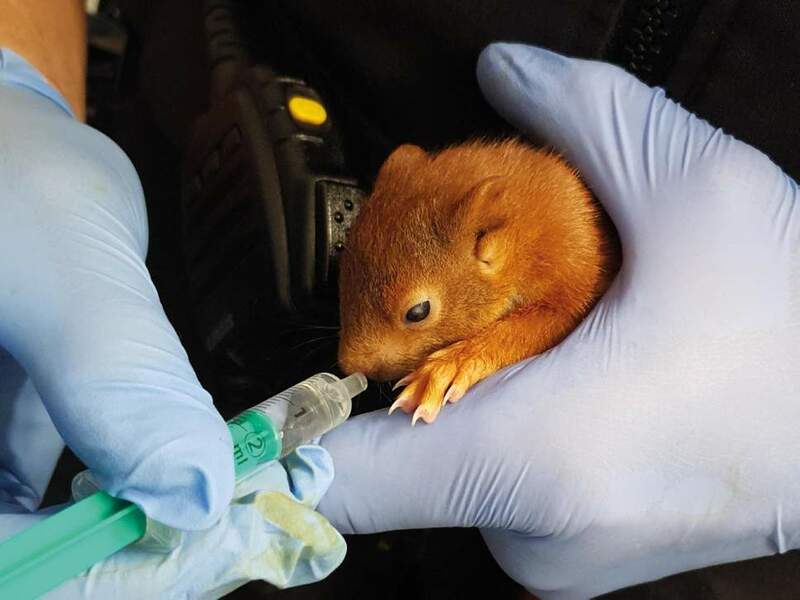 A police spokesperson said officers were able to catch the infant red squirrel after it fell asleep from exhaustion from the chase. “The squirrel has fallen asleep because of the horror,” police jokingly wrote in their report of the incident. Officers appeared to have grown attached to the animal, which they named Karl-Friedrich, adding in their account of events he had become “a new mascot”. Karl-Friedrich was taken in by police, who provided care for him until he was later taken to a rescue centre. Orphaned baby squirrels can often exhibit strange behaviour, such as a lack of instinctual fear. Karl-Friedrich was not the only squirrel to hit the headlines in Germany for a run-in with the law in recent weeks. In July, a man in Bonn called police after he heard noises coming from his basement, fearing there was an intruder inside the home. However, when officers attended the scene to investigate, they discovered the commotion was being caused by a squirrel, according to Deutsche Welle. Police later named that animal David Haselnuss, a pun on the actor David Hasselhoff’s name using the German word for hazelnut.